Mr.P.I. 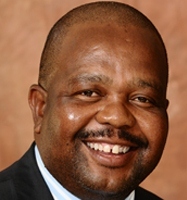 Radebe is the Municipal Manager of the Mafube Local Municipality. The Municipal Manager obtained certificates in Local Government Management (2009) and Executive Leadership Management (2010). He obtained a national diploma in advanced management in 2011 and is currently pursuing his further studies towards a post-graduate diploma in management. Mr. Radebe has extensive experience in the local government environment, including serving as the interim Municipal Manager of the Mafube Local Municipality during the period 2000 to 2002 as well as the Manager: Corporate Services from 2003 to 2010. He was appointed as the Municipal Manager of the municipality during August 2010 and continues to hold the position to date. Equipped to carry out the task of implementing the municipality’s integrated development plan. Operating in accordance with the municipality’s performance management system. Responsive to the needs of the local community to participate in the affairs of the municipality. The management of the municipality’s administration in accordance with the Local Government Municipal Systems Act of 2000 and other legislation is applicable to the municipality. The implementation of the municipality’s integrated development plan, and the monitoring of progress with implementation of the plan. The management of the provision of services to the local community in a sustainable and equitable manner. The management, effective utilisation and training of staff. The maintenance and discipline of staff. The promotion of sound labour relations and compliance by the municipality with applicable labour legislation. Advising the political structures and political office bearers of the municipality. Managing communications between the municipality’s administration and its political structures and political office bearers. Carrying out the decisions of the political structures and political office bearers of the municipality. The administration and implementation of the municipality’s by-laws and 15 other legislations. Facilitating participation by the local community in the affairs of the municipality. The performance of any other function that may be assigned by the municipal council.